Now that New Zealand's Prime Minister Jacinda Ardern has hit world headlines by becoming only the second elected head of government to give birth in office, attention has naturally been drawn to the first such leader - Pakistan's late two-time Prime Minister Benazir Bhutto. And there are some interesting coincidences here. Ms Ardern's baby girl was delivered on 21 June - the very day Bhutto was born 65 five years earlier, in 1953. Also, Ms Ardern is 37, as was Bhutto when she gave birth to her daughter Bakhtawar Bhutto Zardari on 25 January 1990. In a tweet on Thursday, Bakhtawar Bhutto Zardari congratulated Ms Ardern. Bhutto had been in office for just over a year, while Ms Ardern has been in power just under a year. 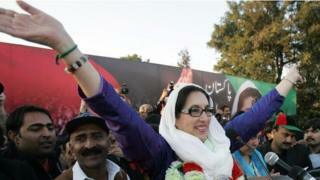 Who assassinated ex-Pakistan leader Benazir Bhutto? 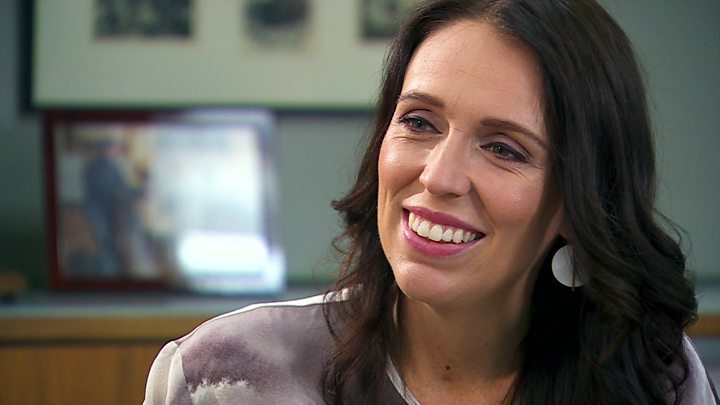 Ms Ardern announced her pregnancy a good six months before her expected delivery date. She has also taken six weeks' maternity leave and passed her duties to her deputy. Bhutto kept her pregnancy secret and returned to work as soon as her doctor would allow. Not only was the country not told about her pregnancy, even colleagues were kept in the dark. "None of us in the cabinet virtually knew that this prime minister was about to deliver a baby," Javed Jabbar, a member of her cabinet, later told the BBC. "And then lo-and-behold suddenly we learn that she has not only gone and delivered democracy, she's also delivered a baby." Bhutto was in stormy political waters at the time. When Bakhtawar was born, a military-funded right-wing alliance was besieging her government. She had just survived a no-confidence vote, triggered by some of Pakistan's former ISI intelligence officials. They had tried to buy off Bhutto's supporters in parliament. And she was struggling to build support to undo the discretionary powers of the president to sack an elected government. The ISI operation, codenamed Midnight Jackal, was revealed, and the move failed, but Bhutto couldn't undo the presidential powers. So when she became pregnant she did not go public with the news and did not take maternity leave. In fact, she had a quick Caesarean section performed by her gynaecologist and returned to work soon afterwards. "The next day I was back on the job, reading government papers and signing government files," Bhutto later wrote. "Only later did I learn that I was the only head of government in recorded history actually to give birth while in office. "It was a defining moment, especially for young women, proving that a woman could work and have a baby in the highest and most challenging leadership positions." The dangers inherent in Pakistani politics, unlike those of New Zealand, can be gauged from the fact that months after Bakhtawar's birth, then President Ghulam Ishaq Khan used his powers to dismiss her government. And a centrally rigged election paved the way for a rival alliance to come to power later that year. Opposition leader Syeda Abida Hussain had called Bhutto "greedy" and accused her of wanting to have "motherhood, domesticity and glamour" rather than serving her country. Bhutto's other two children were born in similar conditions, shrouded in secrecy. In May 1988, military ruler Gen Zia sacked the government and announced elections for November that year. Bhutto was then pregnant with her first child, Bilawal Bhutto Zardari. It is widely held that Gen Zia announced elections for November because intelligence reports said Bhutto would then be in the last months of her pregnancy and therefore unable to conduct an effective campaign. But the news of Bilawal's birth hit the headlines in September, sending a wave of excitement on the election scene. It was said that Bhutto had deliberately spread wrong information about when her delivery was due. Video Who assassinated ex-Pakistan leader Benazir Bhutto?